When my friends start registering for products for new babies, there is one thing that I always suggest. Register for (or buy) a backpack over ‘traditional’ diaper bag. A diaper bag served me ‘well enough’ (because I didn’t know any better) for the first two years of Clara’s life, but when Isabelle came along I knew I would need something different. When I saw my friend effortlessly carrying around a backpack filled with her kids’ belongings at the playground, I wondered why the heck I had a diaper bag over my shoulder. And to make it worse, when I needed both hands free at the park I just threw it on the ground under a tree and left it for a while. And do you know how often I need my hands free with a toddler? All of the time. So a traditional diaper bag is just no longer practical. 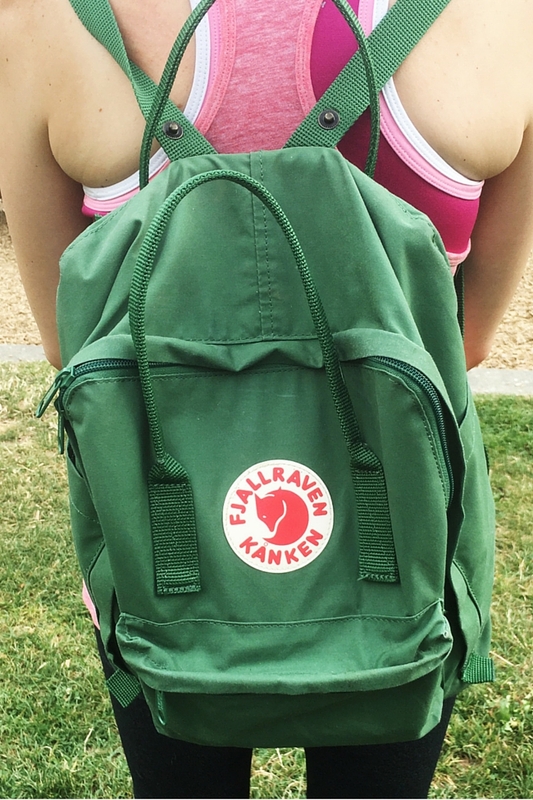 I immediately bought this Fjällräven Kanken backpack and could not be happier with my decision. It fits everything I need for both my not-so-newborn and toddler, it’s comfortable to wear, it isn’t too bulky, it’s lightweight & waterproof, and I can fit it easily on the handles of my stroller if I don’t want to carry it at all. Plus, I like how casual it looks and not overly feminine, so Tim can use it as well. Not to mention that once we’re done with a diaper bag altogether, we’ll still be able to use this backpack! Now, the downside to this backpack is that it is not made to be a diaper bag, so there aren’t all sorts of little compartments for certain baby things. This means that if I want to grab something quickly, sometimes I need to dig around in it or empty it to find what I’m looking for. It’s a small hassle I’m willing to put up with because I love not hauling around my old diaper bag anymore! 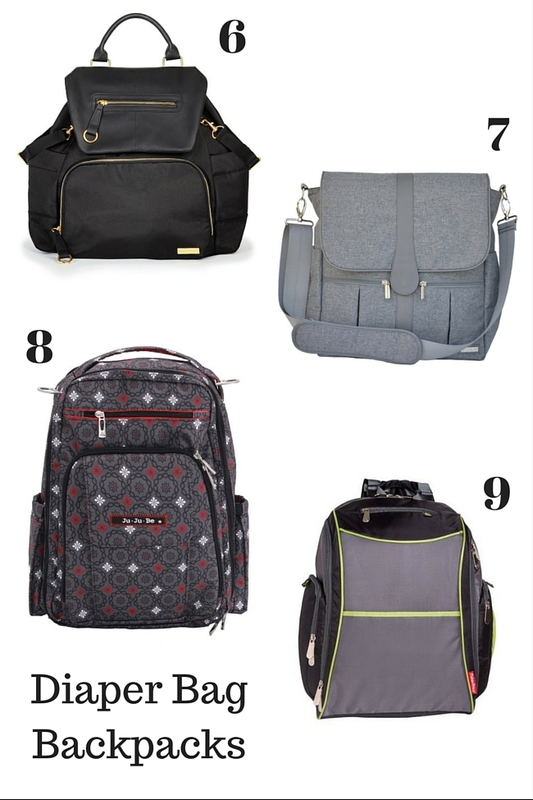 However, there are some great diaper bags on the market that either are backpacks or transition easily into a backpack. In retrospect, I wish I would have gone right to the backpack, because now I have a lovely Kate Spade diaper bag collecting dust. Oh well. C’est la vie. ** I feel like I should mention this is definitely not a sponsored post, I just truly love my backpack! 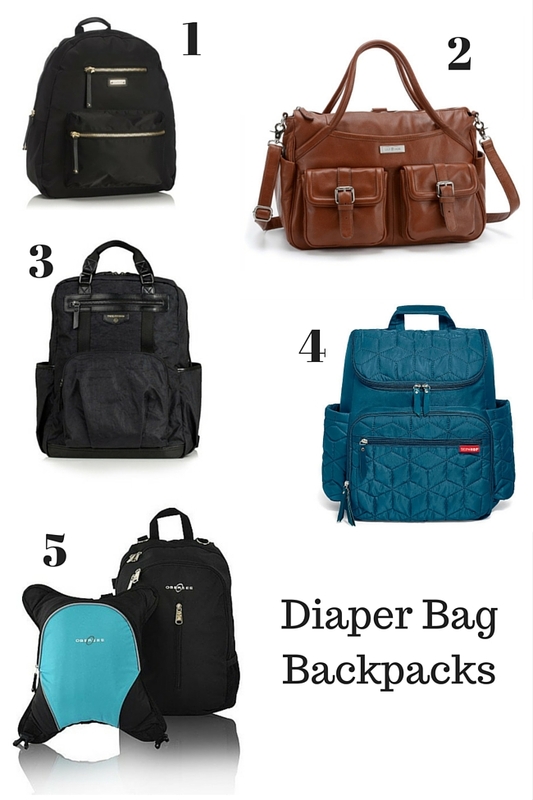 Do you have a diaper bag (or backpack!) that you love?! This entry was posted in favorite things, motherhood and tagged baby products, diaper bag. Bookmark the permalink. Agh! Where was this two weeks ago?! Haha! I just switched to a backpack, and it’s a game changer. I purchased a cheap Sleeping Lamb during Prime Day, but I may need to pick up one of these! Super cute! I had the ubiquitous skip hop diaper bag when Graham was first born, and I HATED it. So I splurged on the Ju Ju Be BFF and I LOVE it. The backpack straps are the best!! A practical diaper bag is a must! Instead of spending a ton of money on a bag that was designed specifically as a diaper bag, I went to MEC (Canada’s version of REI) and picked up a messenger bag. Its stylish and not girly (important for my husband) and once babe grows out of it, we can use it as her overnight bag or carryon. I have been carrying a diaper bag with me all through college, and now as a teacher I went back to carrying a backpack! SO convenient! Also, after an unfortunate incident where all of my purses were in a container that got moldy in the basement, I invested in a tinier kavu backpack as my permanent purse. Out of place sometimes but so worth it! Ohhhhh great idea to use a backpack instead of a purse. I read somewhere that the average purse is 8 lbs and women do so much damage to their backs by hauling them around. I can’t even imagine what the weight of an average diaper bag would be with all of the baby stuff in it! YESSSSSSS girl YES. I didn’t register for a diaper bag, because I thought the prices were outrageous, and because I thought it would be hard to anticipate diaper bag “needs” as a first time mom who was cloth diapering. For the first few weeks when I lugged around every baby item we own, I just used a tote bag we had, and now I just use a small black Jansport backpack or sometimes just the Skip Hop changing station if we’re running in and out of a store or somewhere quickly. I do think it helps to (like you said) invest in a GOOD backpack that won’t fall apart, and compartments are helpful. The one we use is duarable and great quality, but unfortunately doesn’t have any pockets or compartments inside, which would help with the classic diaper bag chaos. We’ll probably be upgrading soon because of it! HOWEVER – if someone wanted to loan me a couple hundred bucks for a Lilly Jade…that would be okay. Are those not the most beautiful bags EVERR? You were so wise not to even register for a diaper bag! Some of the pockets would be helpful but honesty I don’t mind not having them with my backpack! I’m thankful there’s a compartment in the front for my cell phone and lipgloss but everything else I just throw in the main area. Other people are probably way more organized than I am, though! Also, Lily Jade bags are gorgeous and I am sad that I am not a bijillionaire. I don’t need a diaper bag, but I feel like I could use these as gym bags! These are all so cute and functional..thanks for sharing! Ohhhh you could totally use the one I have for a gym bag. I love it!